Daskolos / from Cyprus -  An epic journey of new discovery so fantastic that our natural instinct would be to block it out. True communication and healing are possible only through attunement with the Self, with others, and with God, says Christian Mystic Stylianos Atteshli, known as Daskalos. He is one of the greatest living Christian mystics, yet Stylianos Atteshli - commonly known as the Magus of Strovolos, the Master, or simply Daskalos ("teacher")–is not well known in this country (America). Although he has been teaching since the age of seven on his native island of Cyprus, the 84-year-old has never before spoken publicly in the United States or granted an interview to an American journalist. As described by Kyriacos Markides in his three-part biography. Daskalos's practices are legendary and, to my knowledge, unique among contemporary Christian teachers. They are the sorts of metaphysical practices we have come to associate more with Hinduism, Tibetan Buddhism, and shamanism than with the Western mystic tradition. For example, Daskalos is frequently engaged in the practice of "exosomatosis," in which he is able to leave his body, fully conscious, and travel to faraway places and dimensions in the company of "invisible helpers" in order to be of service to others. He claims to be aware of his past lives (in one, he says, he tended the rooms where Jesus Christ slept during his visits to the Essenes) and to be able to revisit these incarnations at will. Daskalos has been reported to be instrumental in hundreds of public healings, such as the following incident described by an Italian journalist in the Markides biography: In front of several witnesses, Stylianos Atteshli healed a three-year-old English boy of polio. I stared with curiosity at the English-woman holding her child. Only when she placed the boy in Stylianos Atteshlis' arms did I notice that [the boy's] left leg was covered with a heavy plastic brace. It was atrophied and clearly shorter than the other leg…. Stylianos Atteshli sat on a chair with the child in his arms and began to speak to him with a very sweet tone in his voice. As he was doing that, he began to gently stroke the sickly leg. He pulled it a few times as if to make it longer. . . . Ten, twenty minutes must have passed; I don't remember. I had my eyes glued sometimes on the child and sometimes on Stylianos Atteshli. Suddenly, the child made a pained grimace. At that point he raised the boy up, gave him a light slap on his buttocks, and said, "Now, run, my boy. "And the child began running around the room. Was it a miracle! Was it suggestion! One can make whatever conclusions one wishes. I just describe what I saw. Despite these reputed powers, Daskalos rejects the mantle of miracle worker. "They are phenomena, nothing more," he insists. "If we knew how nature works, we would not call them miracles." 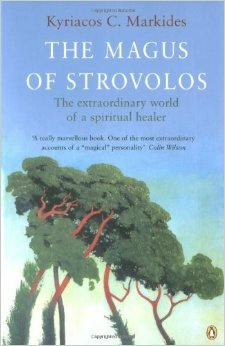 Like most genuine mystics, Stylianos Atteshli has led an outwardly unremarkable life. 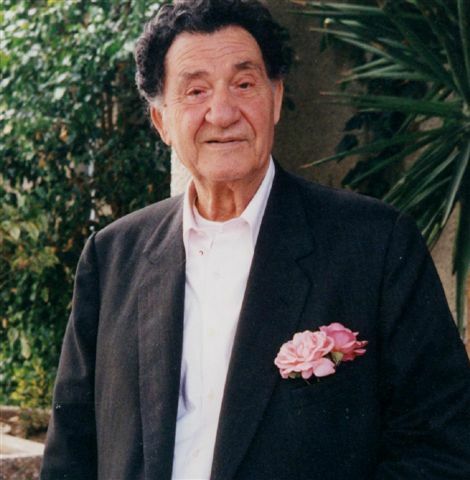 He was born in 1910 in the Greek part of Cyprus, near the town of Strovolos, and spent his years as a civil servant, family man, and Christian. Behind the worldly facade, however, Daskalos was an altogether different being. Gathering a circle of students ( "Researchers of Truth") around him in the Stoa [school room] at the back of his modest home – Daskalos set about instructing the group in esoteric Christian wisdom, contemplation, exosomatosis, and the development of healing powers. Although such a great soul would have been venerated in most cultures as a mahatma, shaman, or curandero, Daskalos was rejected by the orthodox clergy of Cyprus, who made efforts to have him excommunicated from the Church as a "magus of Mephistophelean proportions," to quote Markides. In time, as Daskalos's fame grew and the harmlessness of his work became apparent, these misguided charges were dropped by the Church. Harmless though the work may be, the Gnostic system that Daskalos teaches is nearly impenetrable for those who have not been initiated into its terminology and imagery, as thousands of us found out during two sold-out lectures by Daskalos at Town Hall in New York City. Stepping onto a stage littered with hundreds of letters and photographs from devotees requesting healing, Daskalos led us in the Lord's Prayer and then spoke for an hour about the origins of the universe, the psycho Noetic planes, the "mind super-substance," the holy archangels, the "infinite absolute Beingness" (God), and the mission of Joshua Emmanuel the Christ. As the tall man in a gray suit ranged mysteriously from topic to topic, many of us–well versed in meta-physics-tried without much success to follow the sweep of his mind. I left both talks intrigued, confused, and convinced that Daskalos was operating at a level achieved by few. Interviewing such a mystic is far from simple, as I discovered the next day at a hotel in midtown Manhattan. Already apprehensive, I was further surprised when this extraordinary man took my hand and informed me, without ceremony, that he could read my thoughts and knew exactly what I wanted to ask. Having established this advantage, he ignored many of my questions and allowed his discourse to follow its own self-dictated rhythm. The Author Kyriacos C. Markides, is a native of Cyprus, is Professor of Sociology at the University of Maine. He is married to Emily J. Markides from Famagusta, Cyprus. They have two children, Constantine and Vasia. He has also written Homage to the Sun, a sequel to The Magus of Strovolos, Fire in the Heart and Riding with the Lion. Penguin Books is committed to a sustainable future for our business, our readers and our planet. The book in your hands is made from paper certified by the Forest Stewardship Council. Lacovos called me early in the morning and said he would be glad to talk to me about how he became a member of Daskalos' inner circle. He was one of his closest disciples and was being groomed by the master to succeed him. I had repeatedly expressed a desire to meet him and talk about his life but somehow he was hard to locate. Three weeks had passed since I had last seen him. I was very pleased to hear from him. In spite of his young age he seemed to be exceptionally knowledgeable about Daskalos' teachings. Most importantly he was one of Daskalos' beloved disciples and I assumed that through the young adept I could have an even easier access to the master. With time both of my assumptions proved to be valid. Daskalos had mentioned to me that in 1974 during the Turkish invasion of the island Iacovos was taken prisoner to Turkey and remained there for five months. During that time he exemplified great courage and even though he was only fourteen he was an inspiration to the other inmates. He allegedly used to stand in front of the guards trying to block their way every time they came into the cell to abuse some of his fellow prisoners. Iacovos was badly beaten as a result of his actions. He purportedly said to one of the guards as he was hitting him, 'You are hitting at yourself but you don't know it.' One of the invisible helpers, said Daskalos, that was assisting Iacovos during his ordeal was 'brother Ismael,' a Sufi master who, in his last corporeal existence, lived as a Turk. exomatosis and informed his fellow-prisoners of events in Cyprus, which, according to Iacovos, he was later able to verify. Iacovos' puzzlement reminded me of the classical Chinese tale when Lao Tzu woke up one morning very confused. He dreamt of being a butterfly but he was not sure whether it was he who dreamt of the butterfly or whether he was in reality a butterfly dreaming of being Lao Tzu. Did Iacovos and Lao Tzu, I wondered, have a comparable experience? 'Have you ever encountered the Logos again?' I asked. 'And what did he reveal to you?' I asked and noticed that Iacovos hesitated. 'What was the message?' I persisted. 'That I too will have to bear a cross in my life,' Iacovos replied softly. Realizing that he wished to discuss the subject no further I shifted the conversation to other topics. We agreed to meet at Strovolos the following day when Daskalos was scheduled to give a lesson. 'That is what some authorities say,' I noted. the idea of reincarnation to the Greeks. information, he said, was based on the 'Akashic Records' and not on historical interpretations. He explained that the Akashic Records is another word for Universal Memory. Whatever exists, existed and will exist is imprinted in this pan-universal supercomputer. Furthermore, a single atom contains within it all the knowledge of the cosmos. It is, therefore, possible, by concentrating on a single atom, to acquire information of something or some event that took place in the distant past. It is done by entering into the Akashic Records just like a scholar enters into a library to investigate a particular issue. But like the scholar, the mystic must have prior knowledge of the subject he is investigating. Otherwise he will not be able to acquire any information. For example, if one is to use the Akashic Records to obtain information on nineteenth-century physics, one must be familiar with physics to begin with. While I was finishing my sentence a white Mercedes parked outside Daskalos' door. A tall grey-haired and gentle-looking man stepped from the car and with slow movements walked into the house. Daskalos' eyes lit up. 'Theophani, what brings you to Nicosia?' All three of them were very happy to meet the man, who seemed to be close to Daskalos' age, around sixty. 'Kyriaco,' Daskalos said, 'let me introduce you to Theophanis, the "Magus of Paphos." ' We shook hands and I expressed my pleasure to have met him, mentioning that I had heard a lot about him from Daskalos and Iacovos. Theophanis was probably Daskalos' oldest close disciple and friend, their association going back for over forty years. He was from Paphos, the southwestern port of the island, one hundred miles from Nicosia. It was the place where Saint Paul was arrested and whipped for preaching Christianity to the pagans. The Paphians were known as devout worshipers of Aphrodite. disposition, Theophanis was a quiet man who spoke only when spoken to. I later learned that he had never married. When he was twenty-five years old he was engaged to a girl with whom he was madly in love who died from tuberculosis before their wedding day. Theophanis never fully recovered from that loss and preferred instead to live with her memory. He devoted himself to healing and his profession. He held a high administrative position in the co-operative movement, an institution so developed and well entrenched in Cypriot life that it often served as a model for other developing societies. As we were talking Theophanis inquired whether Daskalos was planning a trip to Greece during the summer months. Daskalos spent several weeks every summer in Athens giving 'crash courses' to his disciples there. During the rest of the year he sent them tapes. The invention of the tape recorder, said Daskalos, made his work much easier. He could now reach a greater number of people. 'I'll take a ten-day vacation myself and I'll join you,' said Theophanis. 'Great. But we'll have to go by boat.' Daskalos turned to me and mentioned that Theophanis was terrified of the sea. His stomach had a hard time adjusting to the waves. I assumed Daskalos was either joking or was speaking metaphorically. I was wrong. He was dead serious, even though there was a strong dose of humorous irony in his remarks. 'I hope you will be able to pacify the sea as you did the year when we went to Tinos,' responded Theophanis, noticing my incredulous look. 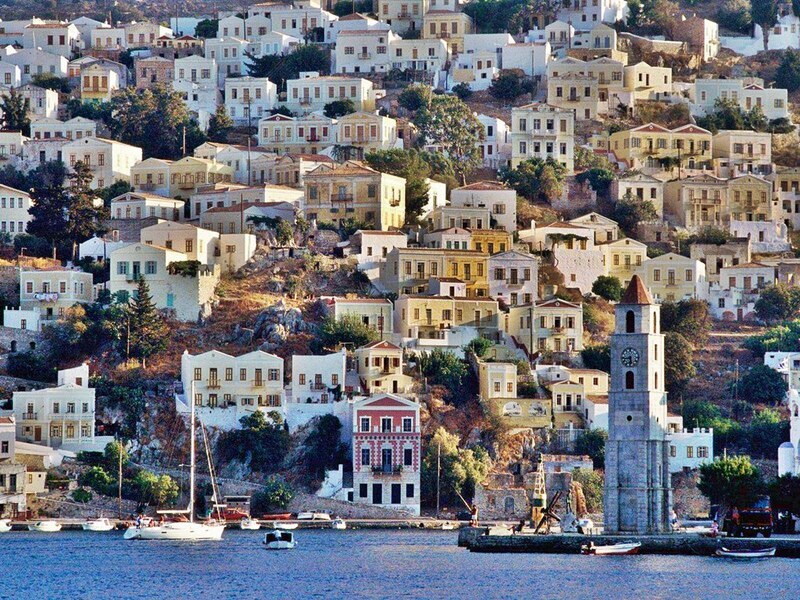 One summer, he went on to explain himself, he, along with Daskalos, sailed on a pilgrimage to the Greek island of Tinos, famous for the miraculous nature of an icon of the Virgin Mary. The sea around Tinos is renowned for being always turbulent. Daskalos, according to Theophanis, used his special powers and calmed the waters. When they disembarked the local fishermen and sailors were puzzled by the sudden tranquility of the sea. 'How did you do that?' I asked. friend, Theophanis, and the sea listened,' Daskalos replied in all seriousness. 'But how did you do it?' I insisted. Such phenomena, Daskalos said, should not scandalize us. These are powers latent in every human being. After all Jesus Himself calmed the waves. Since every human being has inside him the Christ Logos, it means that every human being can potentially master such powers. It was already four o'clock in the afternoon and Daskalos' disciples were gathered in the Stoa waiting for their master to give the scheduled lecture. We terminated our conversation after a brief foray into the current confusion of local politics. It seemed that nobody in Cyprus could avoid discussing politics. It was the central topic of conversation among young and old alike. Faced with an occupying force in the north, politics acquired an intensity of existential proportions. The subject of Daskalos' talk was elementals. At first he summarized many of the ideas he had discussed during previous meetings. It was his pedagogic method to repeat old material on a routine basis until his students had fully digested it. desires, thought playing a subservient role. These are the elementals of desires-thoughts. When an individual is under the influence of thought, he builds elementals made of noetic substance and becomes a master of the power of visual imagery. A Researcher of Truth should train himself to build powerful but benign elementals made up of strong thoughts within which desire and sentiment play a supportive role. Such elementals of thoughts-desires last longer, are more powerful and tend to accomplish the task for which they were constructed much faster. Elementals of desires-thoughts are characteristic of ordinary people who lack an understanding of the nature of thought and desire. Consequently they often fall prey to the very elementals they themselves create. It is the law of Nature that once elementals are projected outwards they eventually return to the subconscious of the person who created them. Then they surface from the pool of his memory to the conscious level in order to acquire new energy and withdraw again. The same cycle is repeated until such elementals succeed in staying within the subconscious of the person on a more permanent basis. They then absorb energy from the etheric-double of the individual and in this manner they extend their life. This is how habits and obsessions such as smoking, gambling and drinking are being formed. The tendency of elementals to return to their source is what makes the law of Karma possible. An individual sooner or later will be confronted with the elementals that he consciously or subconsciously creates. In a conversation I once had with Daskalos he maintained that elementals of strong desires may return to the person that gave them birth at a time when he least desires them. Daskalos then claimed that in a previous incarnation as an Italian during the Renaissance, he was obsessed with the idea of inventing a printing machine. The end result of that obsession was to spend his present life working as a linotypist in the government printing office. which personality and the universes in general are built, that is, with etheric matter of the noetic, psychic, and gross material worlds. series of elementals is being formed having as their ultimate goal the acquisition of that object by the person who projected them. An awareness of its existence and desire to know or possess it are not, alone, sufficient. Thoughts about it must follow in order for such an elemental to be created. The individual subconsciously begins the process of visual imagery. we can bring it to consciousness any time we wish. It is ours. It seems to you, however, that it is not real. And yet if you cannot bring it to your memory, how can you have knowledge of the material object in the safe? Think about it. Let me put it differently. Suppose that a very wealthy individual who knows that in a secret safe he has some very valuable objects suffers from amnesia. Everything within his memory collapses and is dissolved. What value do you think the objects outside his mind will have? None. Therefore, where is the real source of value of things? Pay attention to these points which you need to study. Otherwise you will not be able to penetrate and understand the nature of Life. What is Life in reality other than receiving impressions and interpreting them. Just think of the world around you. Can you perceive it outside of these elementals? Daskalos stopped his talk for a few seconds and then proceeded to elaborate on the physical appearance of elementals, or more precisely on how elementals are perceived by a clairvoyant like himself. 'When an elemental is created, its image will appear at the base of the nose right on the chakra that lies between the two eyes. A clairvoyant will notice that it appears first in the shape of a needle's head. The moment it is thrust out of the etheric- double of the individual, it begins to acquire its natural size and shape. It will then move into the psychic worlds and will make a cyclical movement the size of which will depend on the strength of the desire. Then it will return to the person. At this moment it will enter into his psychic body but not in the same place from which it exited. It will make an entrance through a different center, that which is at the back of the skull. unfortunate development for the time being. 'What about morbid conditions that emerge directly as a result of our egotism such as anger, ostentation, hatred, feelings of being hurt, of showing off and the like? These elementals are constructed in the same way as all other elementals. Note that egotism is itself an elemental which is already formed within the self-conscious personality. It is the product of the repetition of many elementals. It is so sensitive that the slightest provocation sets it in motion. Egotism can create a variety of elementals. For example we have noticed from experience that when an individual has evil and malicious thoughts against someone, the elementals he creates have the shape of snakes with various dark colors, usually putrid green. They come out either from the heart or from the base of the nose. They move towards the person against whom we consciously or subcon- sciously direct them and they tend to stick to the aura of that person. Eventually they return to us. Sometimes such elementals acquire the size of an anaconda and when they return to us we feel our heart tighten. this reason that we must be ready to face the consequences of our thoughts and actions. An elemental will keep us accountable not only in this life but also in succeeding incarnations. Therefore the builder of an elemental will have to sooner or later confront the elementals that he himself has constructed. 'First of all you must not fight such elementals. The enemy is invisible and is bound to defeat you. By waging an aggressive war against such an elemental you energize it. The way to neutralize its power is to ignore it. Let me give you an example. In our society today we see a lot of people quarreling fanatically over politics. Political fights are on a daily basis often leading even families to split up. These are terrible things that turn people into fools. I knew someone like that who tried repeatedly to avoid political fights but to no avail. He always managed somehow to get entangled into political quarrels and tremble with rage. "I can't stand hearing them talk like that," he told me. You see the elemental of narcissism was very powerful in him. He wanted to show off, to prove that he knew more than others and to impose his views. I explained to him that it was a personal weakness on his part which he could overcome with self-analysis. I advised him not to fight his urge but to consciously try to be indifferent. "Tomorrow," I suggested, "when you go to your office and they start the political arguments, you will most probably have the desire to join in. At that moment try to remind yourself that you must avoid losing your self-control. The elemental inside you will urge you to intervene in order to show your knowledge and wisdom. Listen carefully, judge and weigh their arguments, but say nothing." "But isn't it better to just leave?" he asked. "No," I replied, "you will not gain anything by running away." 'Naturally it was hard for him to practice this exercise. At first he could not resist the temptation. But at the end of the day he evaluated his actions. After three or four attempts he mastered his problem. One day he came to me and thanked me for helping him win back his friends. 'With indifference you extract the power of elementals and you neutralize them. Either they get dissolved or they float in the etheric sphere where they may be picked up by others. When we advance spiritually we become conscious of our responsibility for the fall of our fellow man as a result of elementals left over by us n the etheric world. Do you understand now why Christ said, "Do not judge lest you be judged"? Because you shall be judged by your own inner self. You created these elementals regardless of whether you have transcended the condition that led you to the creation of them. individual, dragging along more of the same kind. 'Does one generate elementals while asleep?' someone asked. than when he is awake and preoccupied with the affairs of everyday life. You will notice that many things you desire and that you forget while awake will come to you either just before you fall asleep or during sleep. It is when the individual is in these receptive states that he is under the bombardment of his own self, of the elementals he has constructed earlier. It is for this reason that one of the promises of the Researcher of Truth is that every night before falling asleep one must spend a few minutes in self-analysis. It is exactly at that point when one begins to open up and become receptive to his own thoughts and desires. It won't be difficult to dredge them up from the pool of memory. It is at that moment when it is easier for him to study, know and master them. By learning how to use Mind properly we will discover who we really are and we will begin to distinguish our true selves from the conditions around us that keep us enslaved. i now want you to sit comfortably in your seats,' Daskalos said. There was some commotion as everyone was trying to relax his limbs. Daskalos was going to give an exercise. made the creatures of the Earth their adversaries and that there was a time when animals and men lived in peace and harmony. If you genuinely love an animal, he said, no matter what it is, you have nothing to fear from it. It is our hostility towards animals that causes them to attack us. Daskalos claimed he could carry on conversations with animals, including snakes. He once described to me how a snake sat at the top of a canvas he was painting and how he got some sugar, put it in his mouth and, after mixing it with his saliva, invited the snake to help itself right from his mouth. The snake took up the invitation and with its tongue licked up the sugar. There was an eye- witness to this episode who allegedly almost fainted. On another occasion Daskalos, at the,age of ten, sneaked into the cage of a circus lion and played with it. He said it was the lion which invited him in. As a grown man, a grandfather, on a visit to the British zoo, he accomplished a similar feat. According to his brother-in-law who was with him, Daskalos, like a mischievous youngster, managed to enter into the lions' den and played with the beasts. At one point he put his head inside the mouth of one of the lions. He did this in front of the horrified eyes of spectators and the zoo keeper was so impressed that he made Daskalos a job offer. Once we train ourselves, Daskalos said, to construct live and powerful elementals, we will be able to accomplish as much. This is how Daniel managed to calm the lions. Daniel created, with his mind, elementals of tamed lions and projected them inside the hungry beasts in the den. fellow learned the way to build powerful elementals and assumed, the fool, that it would be a good idea to create a dog with noetic matter so that it could guard his home without having to feed it. For forty days through intense concentration he infused this elemental with ether. He reached a point when he could no longer control it. It became so powerful that the neighbors could even hear it howl at night. 'You must know that when such an elemental is built it acquires the characteristics of the person who created it. If that person has an antipathy towards someone, the elemental will attack. Similarly, when someone has negative thoughts or feelings against the creator of the elemental, again the elemental will attack. This is exactly what happened in this case. One night he was desperate and came to me. "Save me," he implored. He could not control the dog anymore and it even began attacking him. With great effort I managed to dissolve that elemental. I had no choice but with great sorrow to expel him from our circles. I took away his white robe, so to speak. I just took away the cloth. The white robe will always be around him to guide him through the aeons. After Daskalos ended the lesson I spent a few minutes in the Stoa talking to Iacovos while most of the others chatted outside under Daskalos' grapevine arbor. A middle-aged woman, who seemed to know Iacovos well, returned to the Stoa and asked for Iacovos' help. She was about to have an operation at the hospital and wondered whether it would be possible to avoid it through healing. Daskalos had advised her not to worry and to proceed with the operation. He then sent her to Iacovos for assistance. I assume it was part of Daskalos' method of training Iacovos in the art of healing, in the same way that a surgeon trains an intern. She briefly explained to Iacovos her problem and her fears of lying under the surgeon's lancet. Iacovos tried to allay her anxiety with comforting words and then asked her to sit on a chair. He then placed his hands over her head, closed his eyes, and breathed deeply. He remained in that position for about five minutes. 'Think of me when you are about to have the operation and I will be there,' Iacovos said to the woman. 'Just what did you do to her?' I asked with curiosity after the woman thanked him and joined the others in the yard. 'What will you be thinking at that moment?' I asked. 'How did you build that elemental?' I probed further as I noticed that most of Daskalos' students had already gone. 'Sounds very simple,' I said wryly. Dr. Stylianos Atteshis (Daskalos) Giving the prayer of the Researchers of Truth. Τραγουδι Νικος Δασκαλος Κλαρινο Γιαννακος Γιωργος. En Daskalos cada estudiante es un artista. www.escueladaskalos.net. GI AYTOUS POU H ZWH TOUS EINAI ENAS DROMOS....!!!!!!! Ηρθαν και μου ειπαν μαυροματα μου. Ο Δάσκαλος κι Εγώ - Xatzifrageta. Τραγουδι: Νικος Δασκαλος, Ελλη Κοσμα Κλαρινο: Γιωργος Γιαννακος. Κλαρινο Γιαννακος Γιωργος Τραγουδι Δασκαλος Νικος. einai ena apo ta prwta mix epeksergasmeno xwris akoustika..euxaristw!!! !